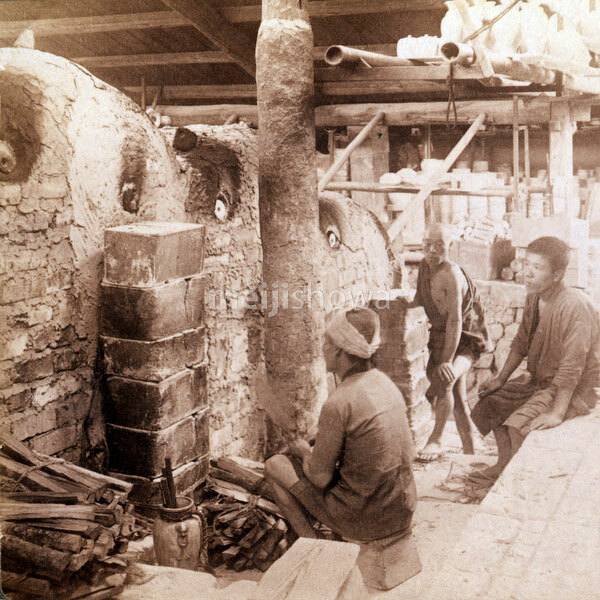 Workmen watching kilns full of Awata porcelain, at the Kinkozan Sobei Pottery Factory (錦光山宗兵衛陶器工場) in Kyoto, 1904 (Meiji 37). The Awata Kiln (粟田焼の工場) was founded in 1633 and located at Sanjo-Awataguchi (条粟田口). Its products were exported to North America, Europe, China and India.